There are few feelings better than having man’s best friend by your side for a leisurely stroll around the block—but blocks can certainly get boring. If you’re over the experience of trotting Fido around the crowded sidewalks and same-y pathways of your neighborhood, it might be time to set out for new pastures. In honor of the Year of the Dog and the arrival of spring, here are some city parks that you can take your canine companion to for an afternoon of sun and fun. 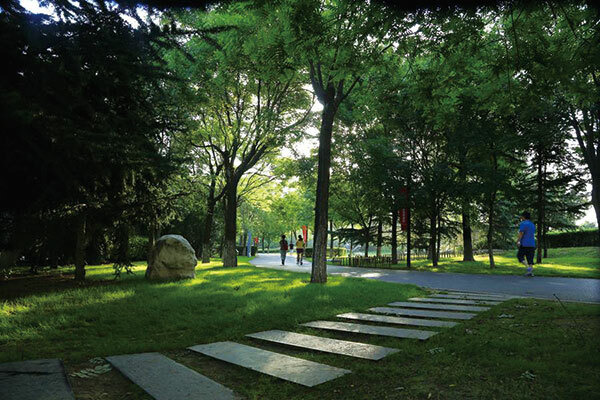 Located just north of the city walls, Da Ming Gong is one of the most famous parks in Xi’an. Known for its wide open grounds and the unique, regal architecture throughout, if you’ve been feeling bad that your pooch has been cooped up in your matchbox apartment for the winter, Da Ming Gong (which has held entire music festivals and still had square kilometers to spare) is a great place for them to stretch their legs. 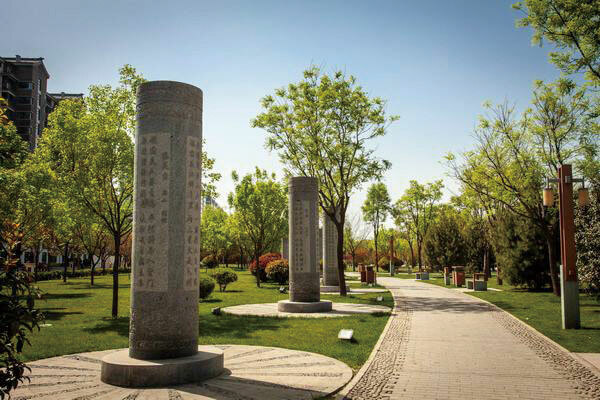 Memories of the Xi’an Expo might be fading, but the expo grounds in the east of the city are still standing strong. 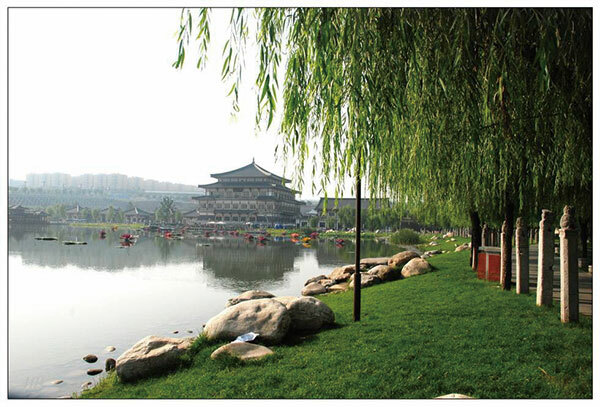 This winding, expansive park is built around a massive lake that has islands and peninsulas, and there are all kinds of interesting statues and buildings to check out. You’ll be able to explore one of Xi’an’s most unique spots, and your dog will be able to sniff things that they’ve only sniffed in their dreams. Since most people just scream along Tang Yan Road in a taxi or bus, few realize how big (or how nice) this park actually is. It runs basically the entire length of the street, and if you’re feeling ambitious there are other parks very near its northern and southern ends. If you’re one of those poor souls stuck in the southwesterly reaches of Xi’an, your dog will go crazy for all the walking you’re going to do, and you’ll get a chance to slow things down a little bit and really discover what that part of town has to offer, because it might just be more than you think. 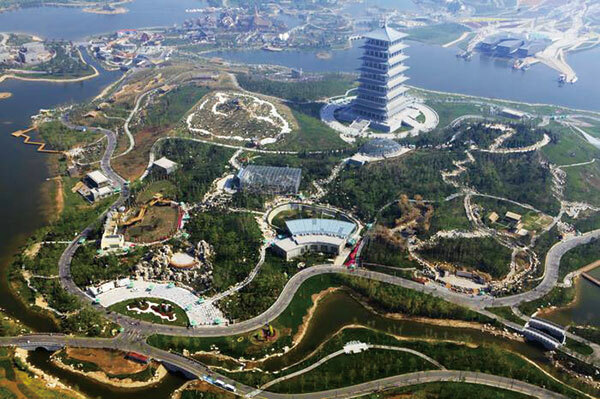 From a mess of construction five years ago to a glittering, shiny tourism mecca, the development of Qujiang New District has been impressive, to say the least. Many are familiar with the area directly surrounding the Dayanta, but fewer really take the time to go any further into the district. Enter the South Lake Park, a big, beautiful park with a sizeable lake your dog won’t be able to resist a dip in (it’s up to you whether or not you’ll let them). Don’t worry, citizens of northern Xi’an, we haven’t forgotten about you (it’s just better down here in the sunny south). 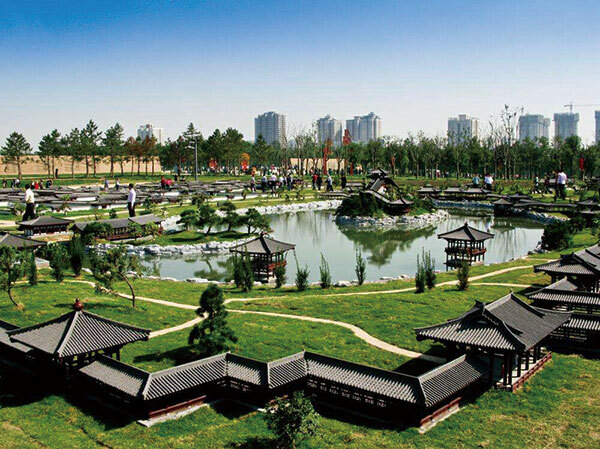 For you, there’s Xi’an City Park, far and away the largest in all of this magnificent city. There’s plenty of space to mill about with your pup, and seeing all the people playing sports in their sports areas might get them all hot and bothered for a game of fetch.